Show your love! Our wrap-around Love Leather Bracelet blends an edgy, chic vibe with elegance and style in one unique piece of jewelry. 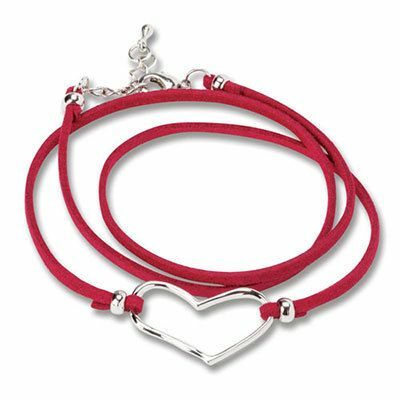 Silver-tone heart suspended by a rich red leather cord that wraps around the wrist and closes securely. 21"l with 1½"l extender.